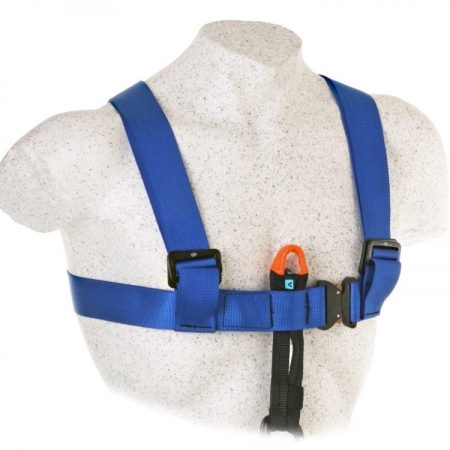 The Raid sit harness has been designed for police and military use. 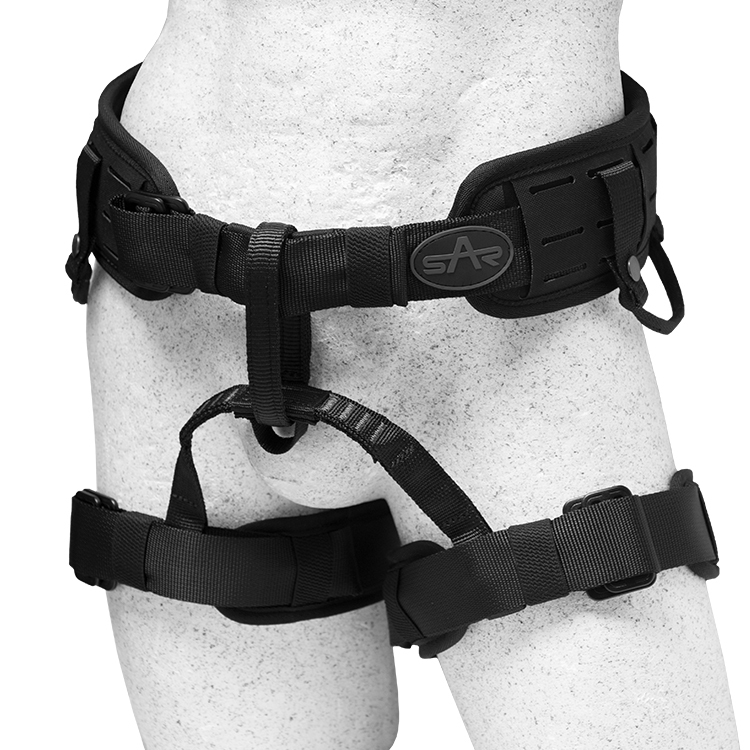 The Raid sit harness can be used as a belt, a battle belt, and as a sit harness. 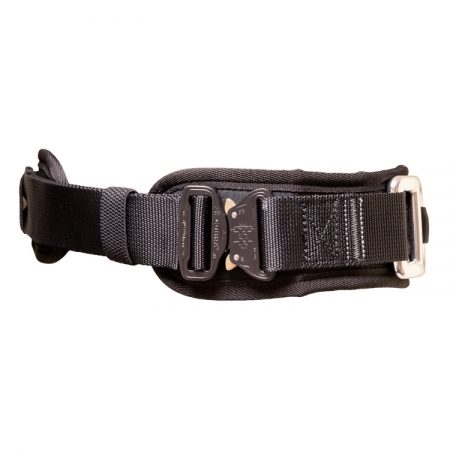 The battle belt waist pad is made of close cell foam padding with a laser cut 2000D cordura molle/PALS= panel, openings allow the belt woven inside or outside of the PALS to accommodate Molle mounting or belt mounting. The 2000D cam cordura has IRR and antibacterial treatment. 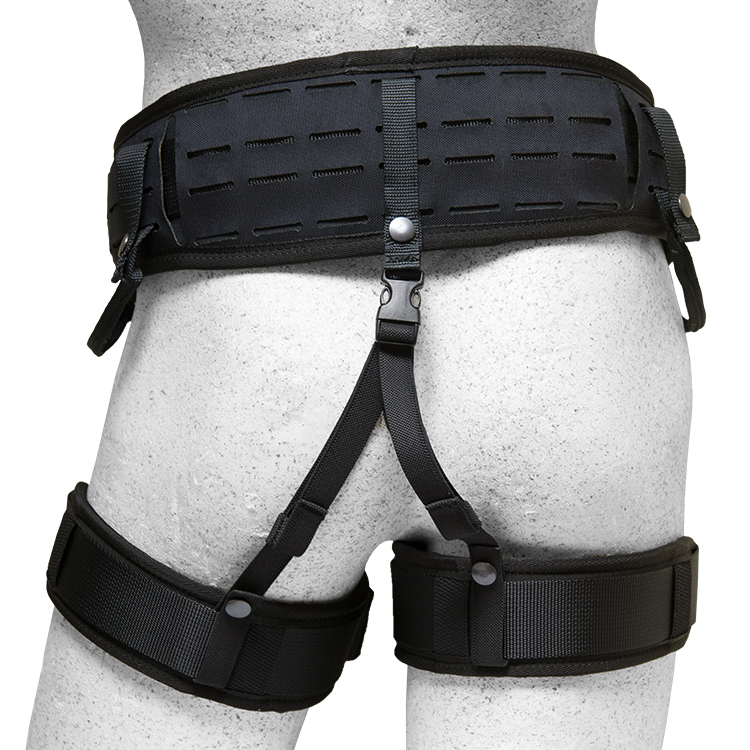 The Raid sit harness leg loops have been made in such away that the buckles do not compromise a leg holster if being used. The waist belt can also be fitted with a webbing eye, a Tri D or a cranked D. This would give the belt a restraint point if needed. Special requests must be made for this on top of our standard Raid harness. 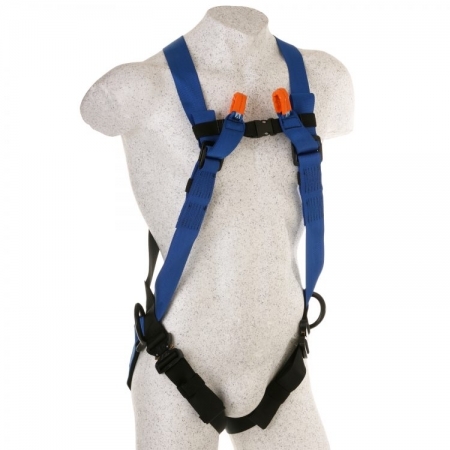 The Raid QC sit harness has quick clip buckles fitted on the leg loops, however quick clip buckles can also be fitted on the waist if required. The harness can be made in all Black, Grey or camouflage. If needed a separate pouch can be made for the leg loops. If any part is lost or damaged replacement parts can be purchased upon request.